This year I'm opting for a more mindful and minimal Christmas so it didn't feel right to post a mammoth gift guide so my content will pared back this year - I hope that's okay with you all. I couldn't not give you guys a little inspiration though so with that in mind here's the one beauty item I think you should either treat yourself or a loved one to, or pop on your own Christmas wishlist. My love for Chartlotte Tilbury's makeup range is well documented on my blog and I am so there for her limited edition launches! Although, I do think it is a little naughty when brands come out with limited edition pieces as they can entice us me to spend money at times we I should be a little bit more sensible. 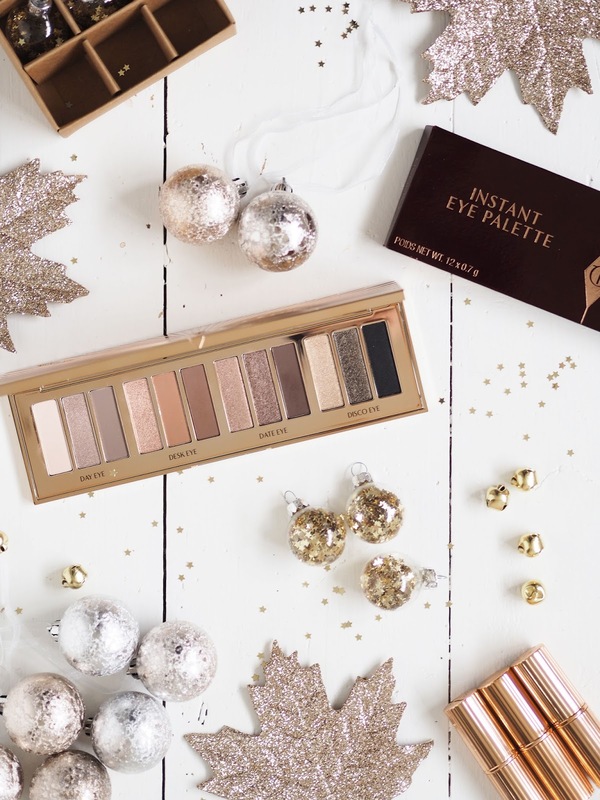 But sensible is boring and it's Christmas so let's talk about the rather special Charlotte Tilbury Instant Look Palette shall we? Charlotte Tilbury's range up until launching this palette consisted of eyeshadow quads which are all very carefully put together with a selection of colours and textures that create a specific makeup look, making it all very easy for makeup beginners or those pushed for time. But what was missing was a large palette with a different mix of colours and textures to give us a little more inspiration and choice. Charlotte's range is so unique because of her approach to creating different makeup looks and really helping women when it comes to combining colours, so it was no surprise that the same idea was put into the Instant Eye Palette. 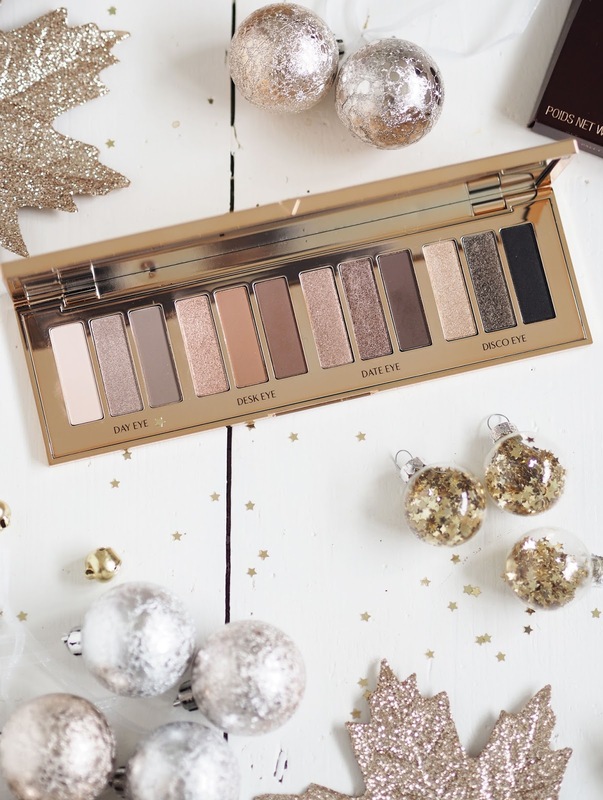 The palette consists 12 eyeshadows split into four different looks, from a simple barely there Day Eye to the knockout rather fancy Disco Eye. So no matter your mood or how you like to wear your makeup, there's a look all planned out for you. Or you can go rogue like I tend to do and mix a few up into your own creation. For example, I'm quite taken with mixing Date Eye and Disco Eye - try it! The shadows are a new formula which is less shimmery and more buildable so they're super easy to blend. I never had an issue with the old formula but it's always nice to see a brand work to improve their products. The satin shimmery shades are so beautiful. The middle colours in the Date Eye and Disco Eye are my personal favourites and almost look wet on the eyelid which is so beautiful. The mattes aren't too powdery and blend well with good colour payoff. The most subtle shade as you would expect is the lightest shade on the very left, but it makes the perfect base to apply your eye look over it. 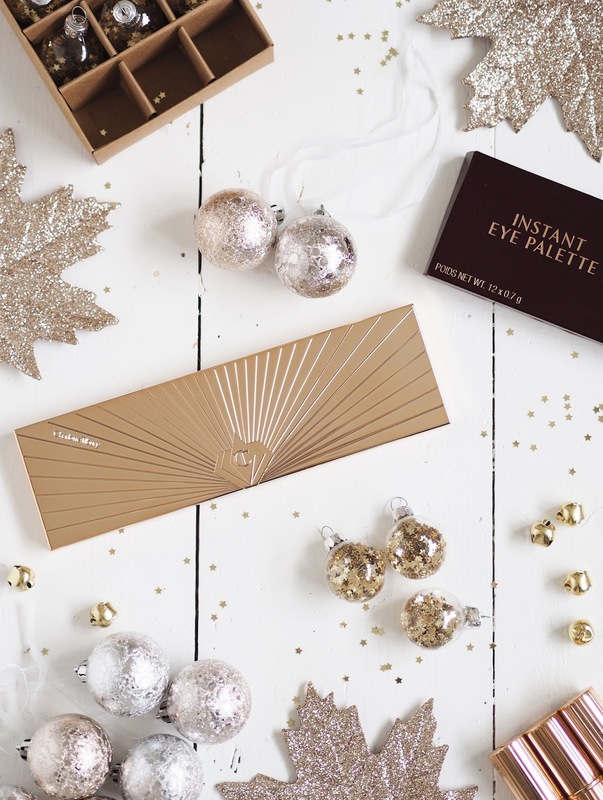 The post If You Buy One Palette This Christmas appeared first on Lelore.